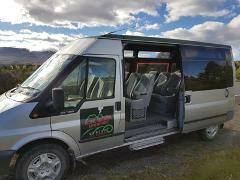 We pick you up from Turangi i-site or you're accomodation and transport you to the start of the crossing (Mangatepopo) and return you to your original location at the end of you're hike from Ketetahi at the selected times. Depart from Active Outdoor Adventures private & secure carpark. (Find us on google maps) Park your car here and we will transport you to the start of the hike and pick you up when you have finished to return to your car. 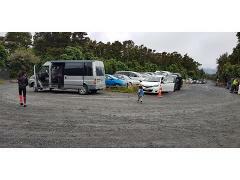 This option is a one way shuttle which allows you to park your car here at the end of the track (Ketetahi). We pick you up and transport you to the start (Mangatepopo) where you will hike back to your car in you're own time.